The Nehru Memorial Museum and Library (NMML) invites all interested to a Public Lecture in the ‘Science, Society and Nature’ series on ‘Wagging the Dog: The use and abuse of science in marine conservation in Orissa’ by Dr. Kartik Shanker of the Indian Institute of Science, Bengaluru. Context: The Olive ridley sea turtles nest en masse at a few sites in the world, including Pacific Central America, and Orissa on the east coast of India. More than a hundred thousand turtles nest at these beaches each year, but several tens of thousands are also killed in mechanised fisheries, while habitats are degraded by coastal development. Alongside the various threats that have affected this population over the past three decades, there has been a slew of research and a suite of conservation responses and actions. 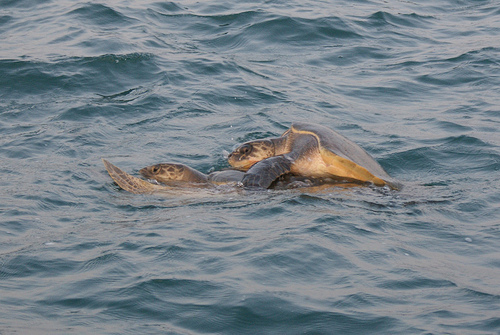 The speaker examines three important questions about conservation using sea turtles in Orissa, India as a case study: (a) Does biology inform the conservation of these species?, (b) How have sea turtles been used as flagships of conservation? and (c) How have various conservation actors engaged with science and used it to promote conservation of sea turtles ? As background, he traces the history of conflict in Orissa, and provides a contemporary socio-ecological view of the conflict between sea turtles and fishing communities. In order to examine the first question, the speaker documents the conservation biological research in Orissa over the last three decades and compares this to the threats to examine if and how the research assists conservation and management. Second, he examinew how biologists and conservationists have used marine turtles as flagships or icons of marine conservation. Finally, the speaker dissects the conservation actors – including the State, international organisations such as IUCN, Greenpeace and WWF, and several national and local conservation groups – in the state to examine how they have used science to promote the conservation of sea turtles. Here, the speaker questions: do all the players (the state, conservationists, corporations, academics, fishers) intentionally or institutionally continue to pursue agendas and strategies that are geared to helping themselves regardless of what the science says and whether it helps conservation in the long run? About the Speaker: Dr. Kartik Shanker is Faculty at the Centre for Ecological Sciences, Indian Institute of Science, Bangalore. He works on the community ecology and biogeography of various taxa, including marine invertebrates, fish, amphibians, reptiles and birds, in both terrestrial and marine systems. He also works on the biology and conservation of sea turtles including olive ridley turtles in Orissa, leatherback turtles in the Andaman and Nicobar Islands, and green turtles in the Lakshadweep Islands. He is the Founding Editor of the Indian Ocean Turtle Newsletter and Current Conservation, and Editor of Conservation and Society. He is a Founding Trustee of Dakshin Foundation, which aims to inform and advocate conservation and natural resource management through inter-disciplinary research and action. Congratulations on the successful event.